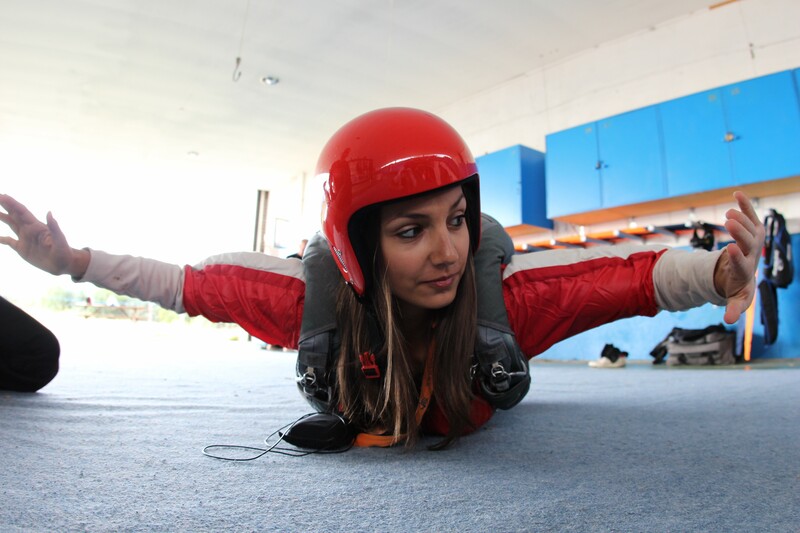 Tandem skydiving, you have already tried and want to go for the next level? Or you just want to jump this step to discover the joy of skydiving without being harnessed to an instructor? AFF Level 1 jump is here for you! 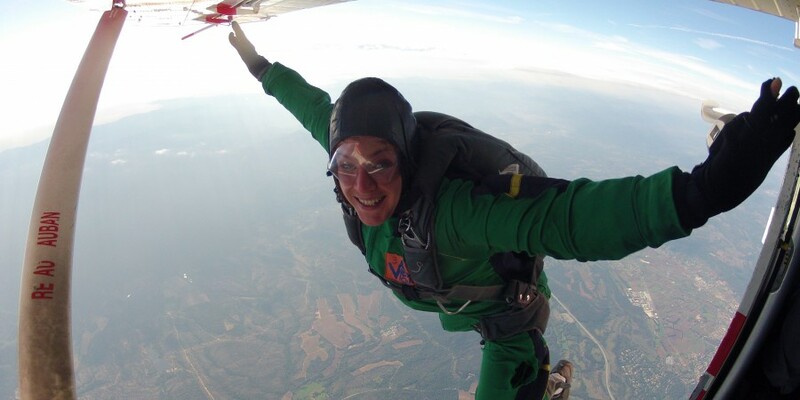 Tandem skydiving leaves no room for passenger’s initiatives who is totally dependent on the instructor. 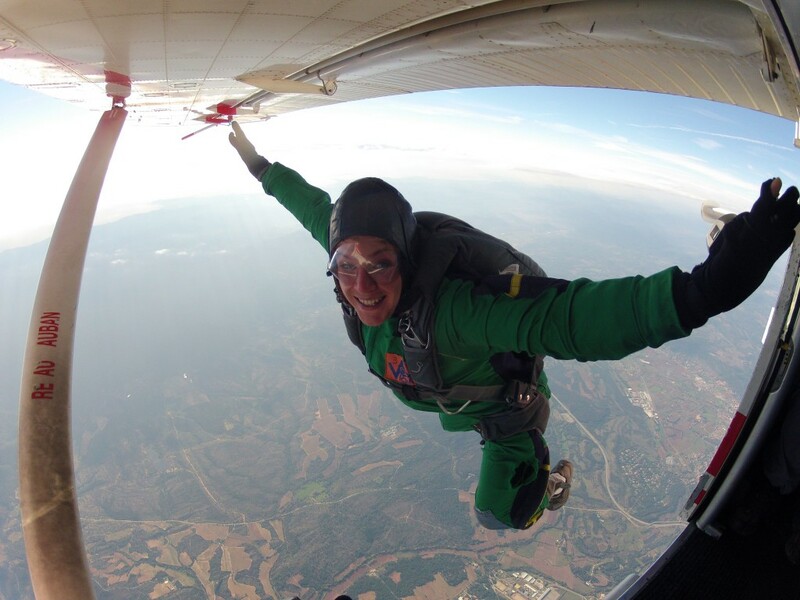 For those who wish to become more involved in jumping or have already tried the tandem jump, it is proposed the Accelerated Free Fall (AFF) Level One. This jump is the first jump of the AFF course. You can only make that jump. If you wish to continue your AFF course, you will already have made the first jump. The jump takes place over two days. The first day is dedicated to the theory and the second day is devoted to the jump. During this first day, your instructor will explain the functioning of the parachute and the various elements that compose it. He will brief you on safety rules, piloting the canopy and body position for freefall. You will learn the hand signals that will be made during free fall to help you have the perfect position. You will learn to control your altitude by controlling your altimeter. You will simulate the actions of parachute opening. During the jump, you will be accompanied by two instructors during the freefall. The second day, you can finally live the plunge! You will have a recap from your instructors of the elements seen the day before. They will help you to put your rig on it will be time to board the plane. At the drop altitude, you exit the plane with the two monitors holding onto you. During free fall you will follow the directions of the latters, to best adjust your body position. At the opening height you open your parachute yourself (if you forget the instructor will do) and you will fly your canopy, guided by radio until landing.